The Stellar Dining Series, which started on November 1, 2018, is going to arrive at its last station in Beijing on November 29, 2018, where Michelin-starred chefs, mixologists and patissiers will serve guests delicious food and bring them an unforgettable journey. The Stellar Dining Series has been orbiting through four destinations: Singapore, Osaka, Hong Kong and finishes in Beijing. As the last destination, The Ritz-Carlton, Beijing will host a three-day epicurean event from November 29 to December 1, 2018, during which four Michelin-starred chefs from China, Japan and Singapore, will show their talent jointly with the culinary and service team of the hotel. There will also be a series of programs to experience dessert workshops and cocktail master classes, to afternoon tea and Michelin-starred feasts. The Stellar Dining Series is designed as a celestial journey of the senses and talented chefs and bartenders from Guangzhou, Shenzhen, Hong Kong, Tokyo, Kyoto, Osaka and Singapore. Michelin-starred Chef Cheung Siu Kong, from Summer Pavilion at The Ritz-Carlton, Millenia Singapore, will take you on a journey of contemporary Cantonese cuisine with a myriad of unexpected flavors at the Yu restaurant. The veteran chef promises to delight diners with exquisite, contemporary Cantonese dishes prepared using modest cooking techniques which bring out the natural flavors of the ingredients. 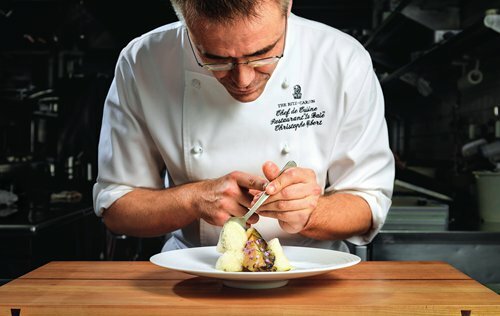 Michelin-starred Chef Christophe Gibert, from LA BAIE at The Ritz-Carlton, Osaka, will provide the guests with haute French cuisine, with the finest Japanese ingredients. His unique skill is to balance contrasting flavors, for example, sweet and sour mixed with spicy flavors which are rare in Japanese and French cuisine. The lounge and bar in The Ritz-Carlton are also included. Executive pastry chef Alan Tan, from The Ritz-Carlton, Shenzhen, will present pastries made of black tea. Bartender Oscar Mena, from Ozone at The Ritz-Carlton, Hong Kong, will show the guests how to make creative cocktails. 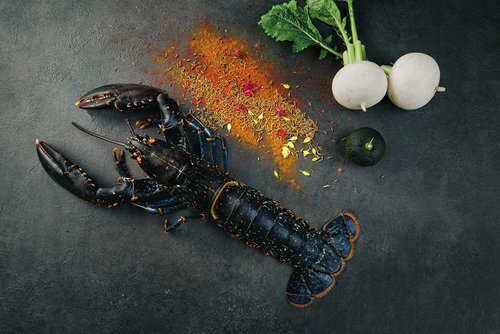 "The Ritz-Carlton, Beijing has long collaborated with many prominent culinary artisans," says Mr. Andrew Rogers, multi-property vice president and general manager of The Ritz-Carlton, Beijing. "Their talent, discipline and creativity can reflect the 'Art of the Craft' philosophy of the hotel which has made us world-renowned. We are delighted to present this star team at The Ritz-Carlton, Beijing where we are all committed to crafting a gastronomic memory for our guests that will last a lifetime through this opportunity," he added.